Black flat top cabinet. Accepts all bills with easy pay programmable thermal ticket printer. Includes 400 tickets! Put what you want on them. Three and nine times multiplier. Real clean machine!! Multi-denomination. Play .25c, .50c or $1.00. 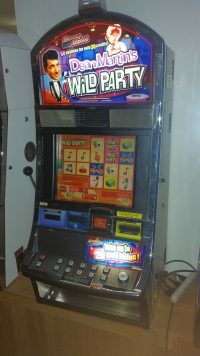 Includes 400 tickets, locks and jackpot reset key.